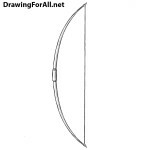 Hello dear readers and welcome to the drawing tutorial on how to draw a crossbow! 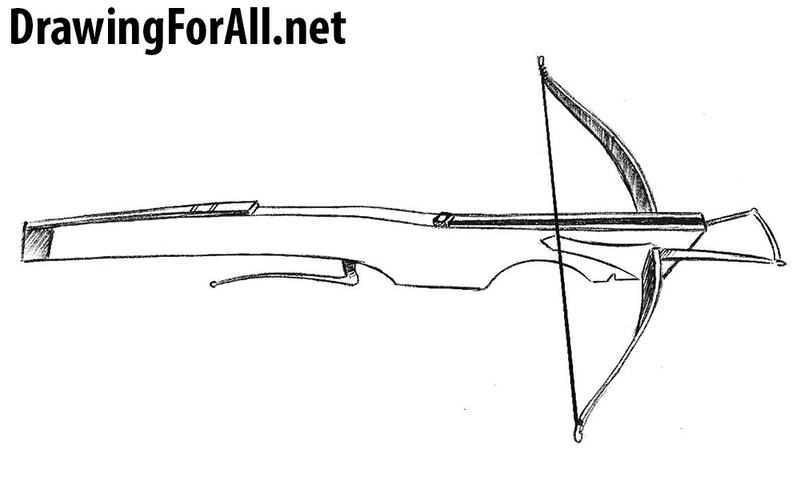 Crossbow – is a combat and sporting throwing weapons, which in fact is a bow, equipped with special mechanism. 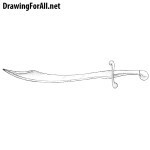 As you can see this is classic medieval crossbow, which was used along with two-handed swords and a claymore. So, first of all outline the general contours of the crossbow as shown in our example. 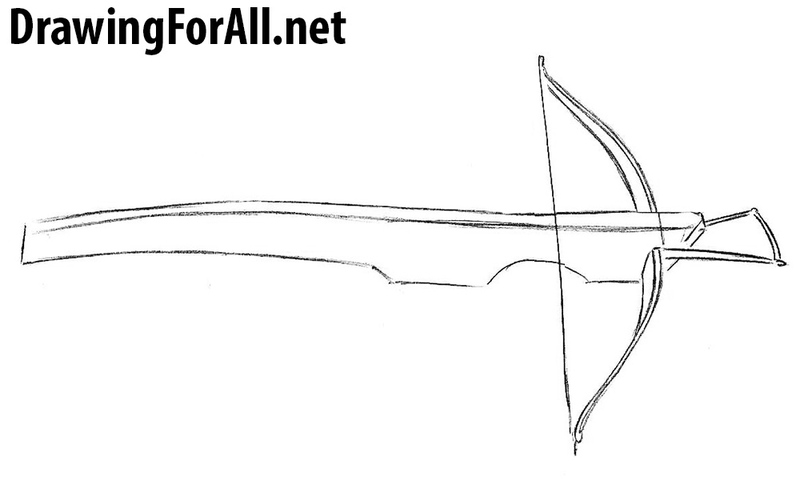 Sketch out the limb, string of the crossbow and cocking stirrup. The general outlines are ready, let’s start adding details. 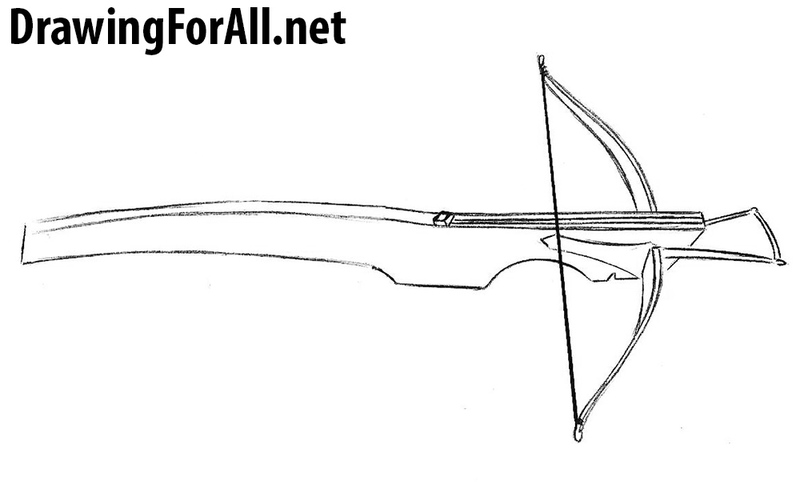 A very short and easy step – carefully draw out the cocking stirrup and front part of the crossbow. 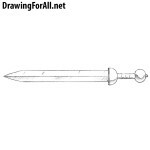 Draw out the limb making it detailed and three-dimensional as in our example. 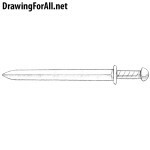 Draw out the details at the top such as flight groove and nut. 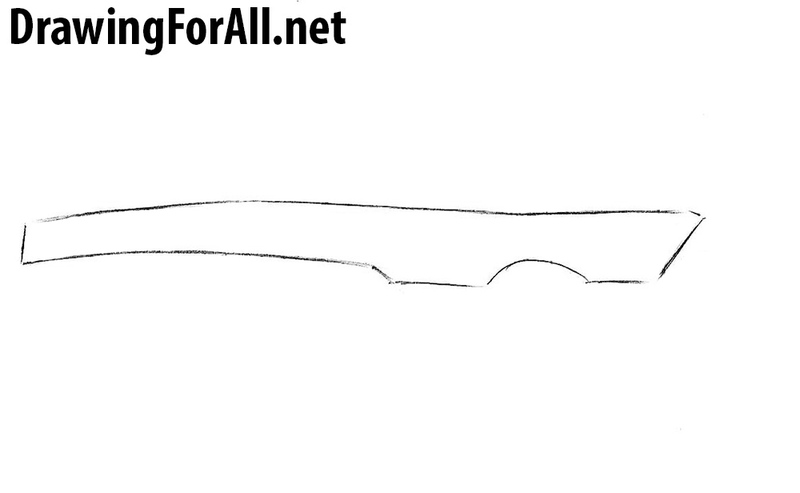 Erase unnecessary lines from the front part. 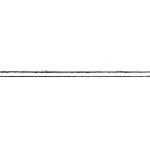 Draw out the rear part, consisting of tiller and trigger. Erase all guidelines to make the drawing of crossbow clean. Add some shadows using classic hatching. 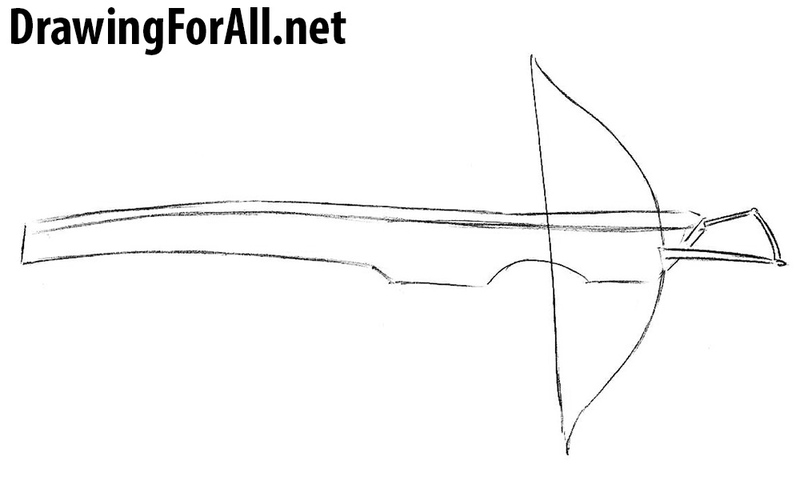 The lesson about how to draw a crossbow came to an end. 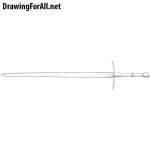 Don’t forget that we have a bunch of drawing tutorials dedicated to weapons, especially medieval weapons, such as longsword and flail.